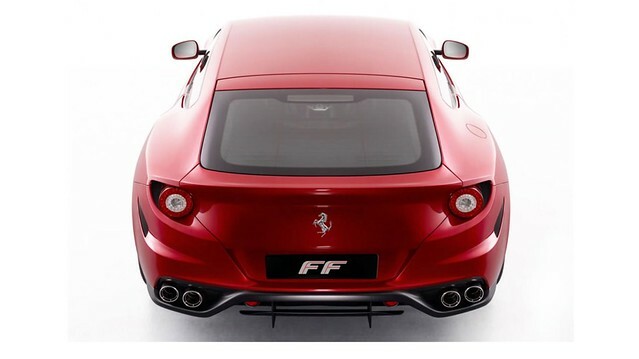 Ferrari FF: Four seat, Four Wheel Drive. Four million internet posts that will argue over its looks. The Formula Four: four seats, room for luggage. 6.3L direct injected V12 good for 660hp and 503 ft-lb. A 4wd sysyem that is "on demand" that is, it only comes into play when the front wheels slip but that ferrari claims is 50% lighter than any other systems. FErrari claims a 0-62 time of 8 seconds in the snow!. A seven speed DCT is in the usual transaxle layout, impressive given the car has room in the back for normal sized humans. The published "dry weight in just under 4000 lbs, making it somewhat heavier than the outgoing 612 Scaglietti, however, as with the 458, advances in suspension design make this car agile beyond its mass (or indeed probably beyond the ability of its target customer): 0-62 in 3.7 sec, 208 mph top speed. Ferrari was pretty cagey over the pictures, just three images and the clip, we'll see if we can find you better material in the coming week. Price is lower than the Scaglietti but with a longer list of options. Ah the Ferrari 1 Series! 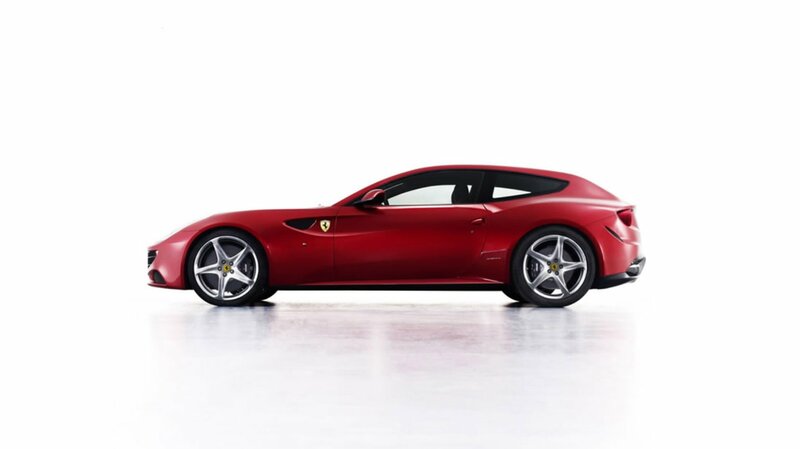 The side profile looks a lot like the fake porsche shooting brake that was featured on some internet blogs a while back. It looks like a Citroen C5!!!! And I don't see the point for 4WD. THe point is that people buy a lot of 4wd Bentley...I'm serious. lol AC's preconditioned to like the FF! Anyway, the side profile reminds me of an Alfa 8c but only bigger. 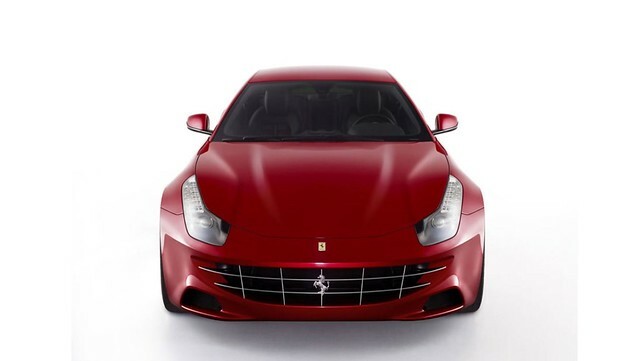 Ferrari should ditch the chrome grill, I think the it makes it look weird. Ha, to me the front looks like a sharrk drawn by Murakami. It needs to be a darker colour, Blu Pozzi or Blu Tour De France, other than that I love it! So, apart from only being concerned about performance, why go for this, based on "practicality" versus a Maserati Quatroporte? @Tony,because it's faster than a 430? Here is a cleaned up roof line version. I photoshopped the car above and removed the roof line that gave it the "breadvan" look. It now looks like the 250 GT SWB Berlinetta we all know and love. I don't like the porsche neither this one.